United Yacht Sales New Jersey would love to guide you through a personal showing of this 83' Hampton Euro 830 2014. 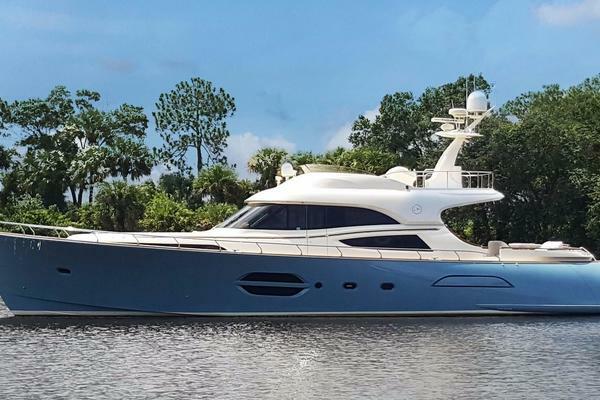 This yacht for sale is located in Fort Lauderdale, Florida and priced at $4,599,000. For a showing please contact us by filling out the form on this page and we will get back to you shortly! Hampton yachts has incorporated their expertise and quality into a contemporary design with this 83' Motor Yacht. 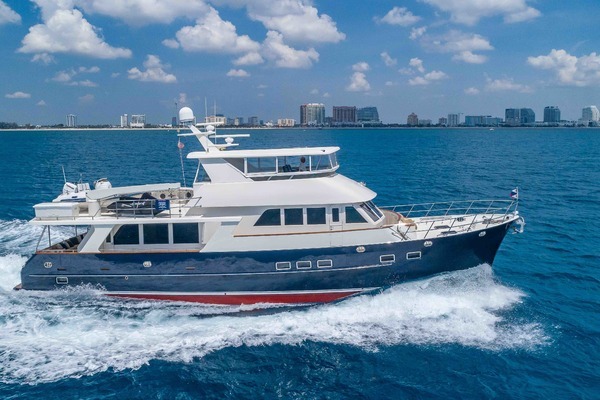 Designed by Naval Architect J.C. Espinosa, this design provides a spacious open flush main deck with a starboard balcony and an on deck day head. The aft deck flush off the main deck is fully covered and spacious with seating for up to 14 people. A drop down TV, stereo, wet bar, make this a great place for spending time. Forward on the main deck is a spacious galley with all the features of a luxury yacht along with plenty of natural light. Down the starboard stairway brings you to a 4 stateroom layout with a mid-ship master. There are en-suite heads for the master and VIP and a guest head for the side staterooms. The enclosed sky lounge includes a full bar, plenty of seating and a comfortable driving station with state of the art electronics. The skylounge opens up aft which brings in the upper aft deck area and creates great space for entertaining. The crew area or additional guest area is very spacious and fully equipped with a galley, head with separate shower stall, 2 staterooms with over/under bunks. The engine room is forward of the crew area with twin Caterpillar C-32 engines each with 1622 HP.The terrific and very functional design is sure to make any owner proud.